Rock in the New Year with Monark and Red Tape Riot! 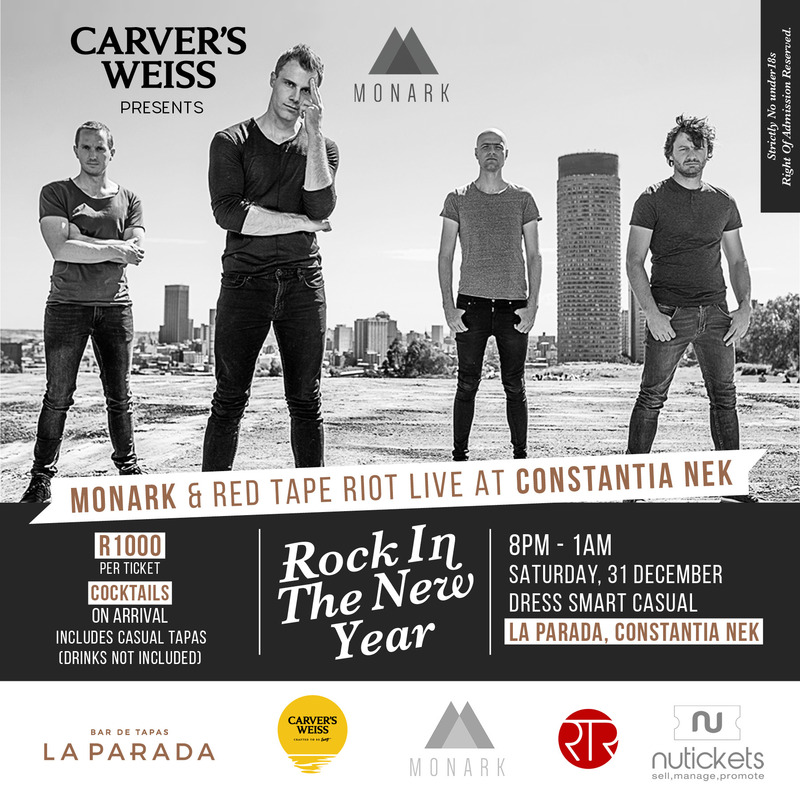 La Parada in Constantia Nek brings you a literal and musical feast to guide you into 2017 with South African sensation Monark as the headliners for the evening. Guests will enjoy welcome drinks and casual tapas and there will be a cash bar available. Starting at 8pm and ending late! This is exactly the welcome to the new year that Constantia has been asking for. I have a set of double tickets to give away to one lucky reader. Whether you want to take a hot date, your other half or your bestie, that’s entirely up to you! The prize is worth R2,000 and what better way to bring in the New Year than an epic party on the house! Read below to see how to enter. Become a fan of Mr. Cape Town Blog and La Parada on Facebook. Head over to [THIS POST] on my Facebook Page and follow these simple steps below! Like and share the post on Facebook and tell me who is the sponsor of the La Parada NYE party? Make sure you tag the person you want to take with and use the hashtag #LaParadaNYE. WINNER announced on Monday 26 December!